Cork isn’t just for wine bottles and laundry room bulletin boards anymore. Like hemp and bamboo, it is a darling of sustainable materials because of its multi-faceted, good-for-people-and-planet qualities. Today you can find a variety of eco-friendly products made from cork, including cell phone cases, wallets, purses, hats, and more. The Cork Forest Conservation Alliance (CFCA) has a wealth of information about the many wonders of cork. And if you haven’t seen it, be sure to check out CFCA Founder Patrick Spencer’s TED Talk on cork. This is a win-win-win (people, planet, and profits) story we all love. It’s a 100% natural, renewable, recyclable, and biodegradable material that is obtained through an Earth-friendly harvesting process. Cork oak trees don’t need to be cut down to harvest the cork. Instead, the bark is harvested by hand every nine years, and cork oak trees can live for up to 300 years. When cork is harvested, a tree is saved. And it gets better: when the cork bark is harvested, the tree is able to absorb even more CO2 from the environment. 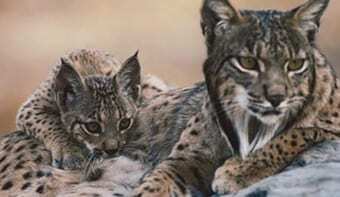 Cork oak forests are the natural habitat of the endangered Iberian Lynx. 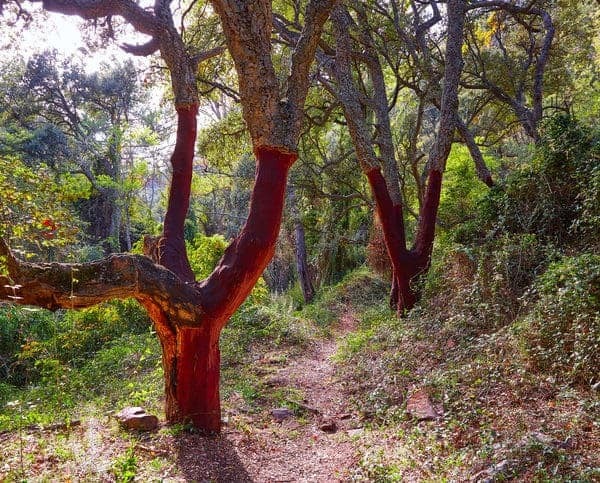 Cork oak forests support one of the world’s highest levels of forest biodiversity, second only to the Amazonian Rainforest. There are approximately 6.6 million acres of Mediterranean cork forest across Portugal, Spain, Algeria, Morocco, Italy, Tunisia, and France. 13,000 species of animals, plants, and insects are found in these cork forests that are not found anywhere else.